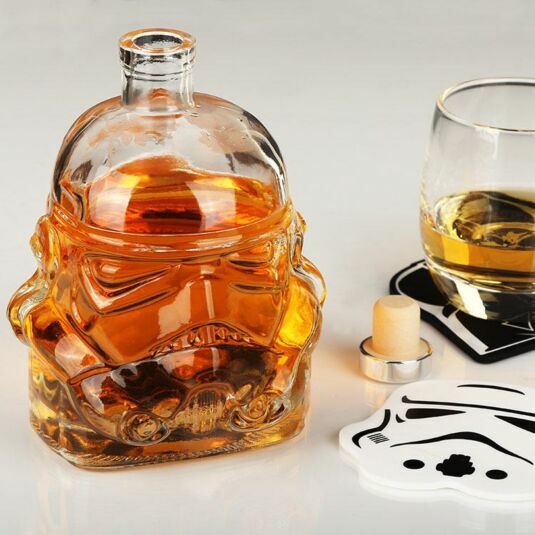 After a long day of defending the Galactic Empire, every trooper wants to hang up their armour, put their feet up, and pour themselves a glass of their favourite wine or spirit. No wonder they can’t shoot straight! 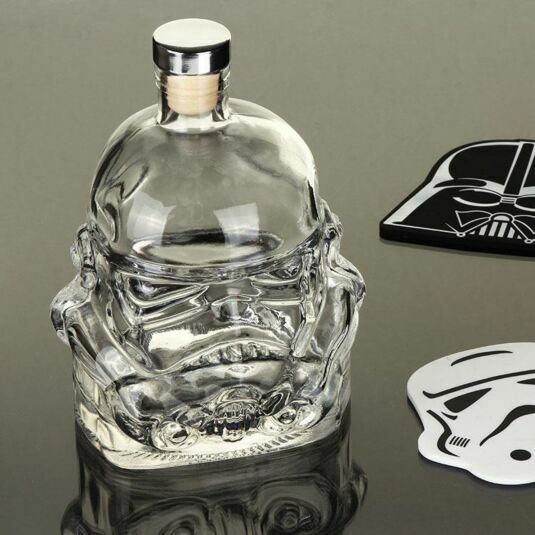 What better tribute is there for these classic villains than this beautiful decanter? 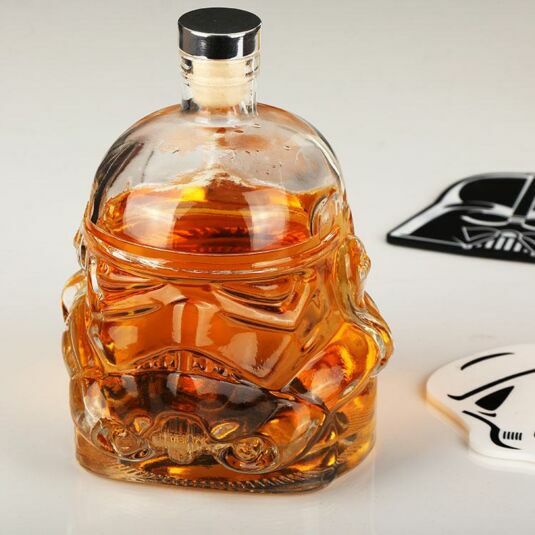 Lovers of The Empire will see this helmet as a tribute to the brave soldiers who defend them, and lovers of the Rebel Alliance will be thrilled by the idea of a Stormtrooper helmet in their home; a tribute to the victory over evil! 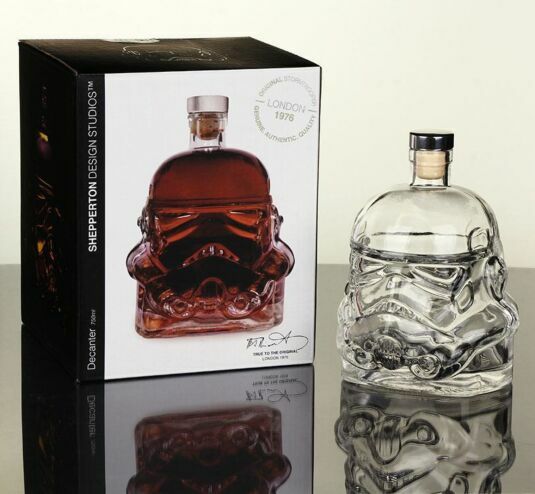 Based on the original moulds from the Shepperton Design Studio, this stylish decanter is true to the 1976 original helmet design. With a 750ml capacity and topped with a cork seal, there is more than enough room for you to store, and improve, your favourite wines and spirits. 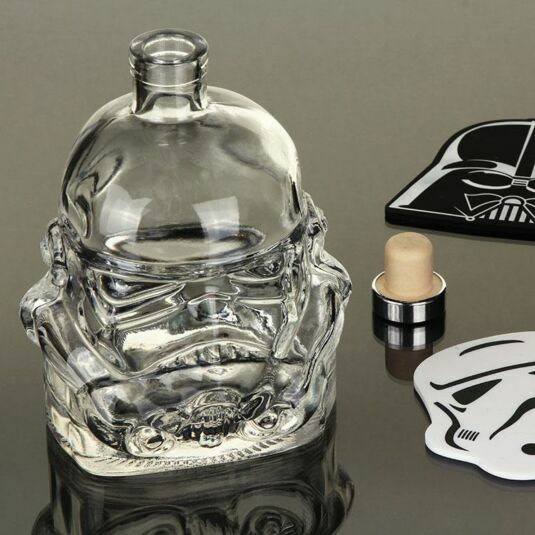 It is also packaged in a stylish Star Wars themed gift box, making it the perfect gift for any super fans out there; be that family, friends, or even yourself!